Hello December! 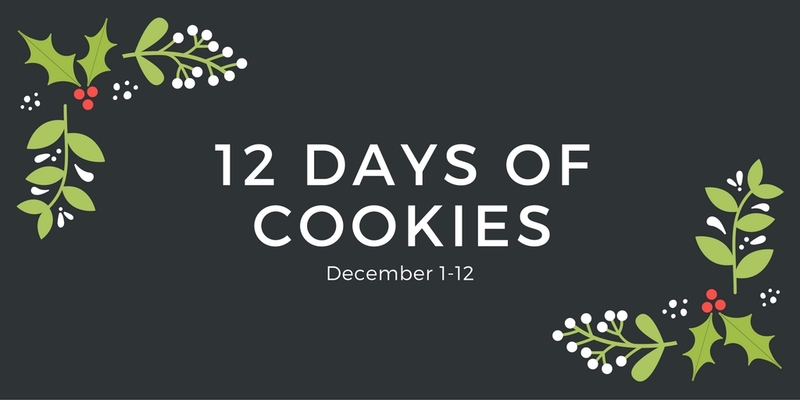 This is the first day of the 12 Days of #ChristmasCookies that I'll be participating in. What does this mean? From today until December 12th, there will be several talented folks sharing some of their favorite #ChristmasCookies recipes on their blogs. Some of these ambitious people will be taking part every day! I've seen some sneak peaks of what they're making, and trust me, you won't want to miss out! The participating blogs are a perfect place to get some new holiday baking ideas. I am such a creature of habit and tend to make the same things year after year, so following along will be a great way to inspire new ideas. For me though, I'll be participating in six of the twelve days. 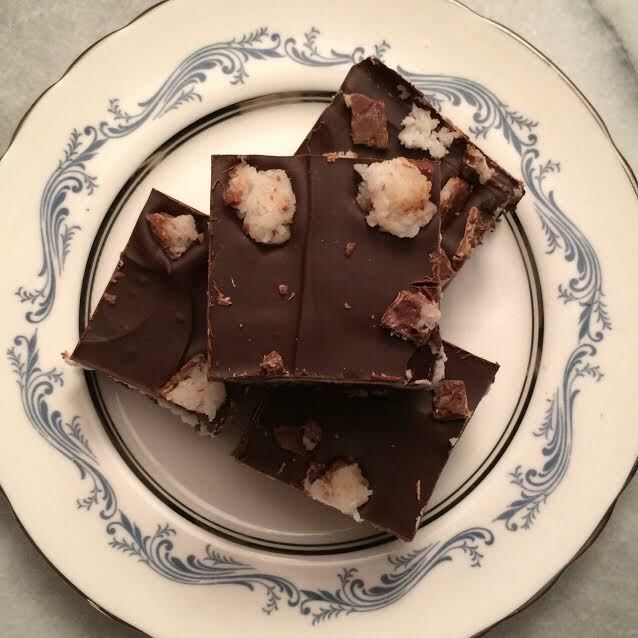 I've been baking some new treats of my own creation, and have also thrown in a couple of stand-by recipes that aren't original to me, but are too good not to share. Please stay tuned! 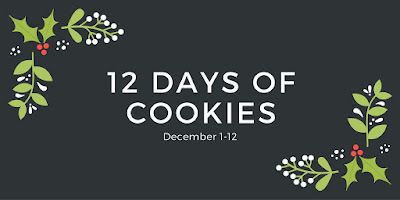 So, what's kicking off Day 1 of the 12 Days of Cookies for me? It's more of a bar than a cookie, but I just had to include it. Today, I am shamelessly plugging my own recipe. 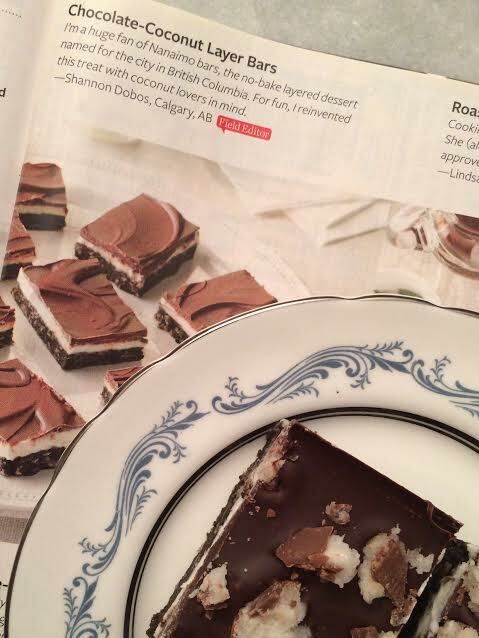 This recipe just happens to be published (yay!!) in the December 2016 Taste of Home magazine, which is available on newstands now. I was so excited for this one to be shared in the magazine, as it is one of my absolute favorites! This Chocolate-Coconut Layer Bar is my twist on the classic Nanaimo Bar, which is another treat that you will almost always find on a holiday baking tray here in Western Canada. I hope you enjoy them as much as I do! Microwave butter on high until melted; stir until smooth. Stir in cookie crumbs, coconut and cream of coconut until blended (mixture will be wet). Spread onto bottom of an ungreased 13x9-in. baking pan. Refrigerate until set, about 30 minutes. For filling, beat butter, cream of coconut and extract until smooth. Gradually beat in confectioners' sugar and enough milk to reach a spreading consistency. Spread over crust. For topping, microwave chocolate chips and oil until melted; stir until smooth. Cool slightly; spread over filling. 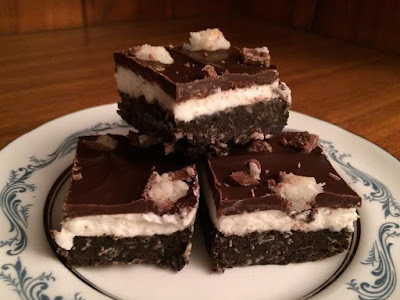 If desired, sprinkle with chopped candy bars. Refrigerate. Yield: 3 dozen***. * The cream of coconut used here is not the same as coconut cream. Look for cream of coconut in the liquor mixers section of your supermarket. I use Coco Real, which is apparently widely available in US supermarkets. For you Canadians, this can be tricky to find. I can only find it in one supermarket here in Calgary. Save on Foods carries it. **Again, for us Canadians, a Mounds bar is similar to the coconut candy bar that we have, called Bounty. I use Bounty Bars. *** Cut these bars into very small pieces. They are so, so, so wonderfully sweet. These are amazing, but it's best to eat them in small doses if you want to save an appetite for other goodies! oh, and pssssst: The December 2016 Taste of Home Magazine is also featuring 12 Days of Christmas Cookies. You can NEVER have too many Christmas treats. First, check out the awesome blogs below, then run to the store and pick up more inspiration from December's Taste of Home! Congrats on making Taste of Home Christmas edition! I can see why....these look amazing. These look amazing! My dad and husband would both go crazy for these so I am putting them on my must make list! These look fantastic! I can also find a brand called Coco Lopez, but yes, in the mixed drinks section. For pina coladas.